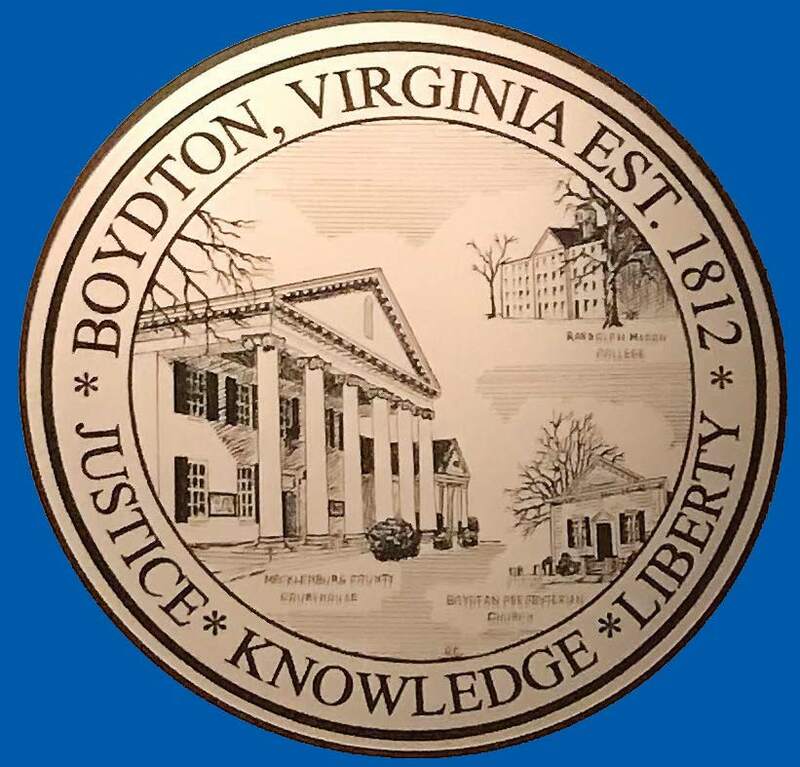 Boydton, Va., waited almost two centuries to get a city seal. It came as a pen and ink sketch by octogenarian Ruth Crowder, a dedicated town denizen who had earlier drawn up the seal for Mecklenburg County, for which the town of slightly more than 400 residents serves as county seat. Crowder, now 93, said she was “more or less self-taught” as an artist and spent many years producing pictures of several of the town’s historic buildings and painting portraits, mainly of children. Also included is a brick building from Randolph-Macon College, a Methodist seminary converted into a military cadet training academy during the American Civil War. “The college had to be moved, but at one time we were a college town,” said Crowder. Rounding out the architectural images is a depiction harkening to the religious heritage of the town: the Presbyterian Meeting House, Boydton’s oldest church, built in 1820. In the 19th century, the town was the terminus of the Boydton and Petersburg Plank Road, an 80-mile thoroughfare covered with wooden planks. In 1790 the town’s founder, Alexander Boyd, a Scottish immigrant merchant, operated Boyd’s Tavern, the settlement’s structural centerpiece. He designed, platted, founded and self-named the town in 1812, naming many of the streets after heroes of the War of 1812. Boydton was incorporated in 1834 and became the county seat shortly thereafter. The small, one-story building was the center for dining and lodging for the college’s students, faculty and their families and the local horse-racing crowd attracted by the area’s national reputation as an early horse-breeding region. The tavern’s history is marked by change and adaptation. In 1816 the building was expanded and its appearance was changed a er the Civil War. Further exterior alterations were made in the early 20th century and the building served as a hotel and boarding house before being converted to apartments in 1922. In 1976 the Boyd Tavern was placed on the state and national registers of historical places and was recently restored and opened to the public for tours. A current tavern in town originally served as the office for the stagecoach line to Petersburg. For more information, visit www.boydton.org.